Highest-quality diamonds and easy-to-use color coding system. 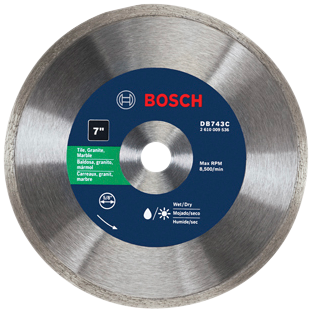 Designed to cut faster and last longer. Wet or dry. Applications include ceramic, granite and marble. For use in tile saw.